Cavex is the creation of a team of individuals whose desire was to bring their clients to the forefront of wine trading. With combined experience of over 12 years in the wine trade, and even longer on the trading floors of some notable City of London institutions, the team have built an environment where the philosophy is clear: do what we do well, and in the simplest way possible. Our objective is to ensure that our customers benefit the most, whilst enjoying the Cavex trading website. The Cavex platform and portfolio management tools have been developed so that members may monitor and trade their wines from the comfort of their own device. However, we hope to speak with our customers more than hide behind an email, so should you wish to find out more about who we are, do not hesitate to call us. We would be delighted to talk. In the meantime, here is a full profile of the Cavex team. With a City career spanning more than 25 years working both in money broking and banking, Stephen’s time in the financial world culminated with six years in the Treasury Department at the Bank of New York. 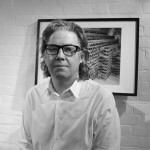 It was during his time in the City that Stephen first crossed paths with co-founder Simon Hall. Stephen’s keen interest in fine wine dates back to his first significant purchase during the ‘82 Bordeaux En Primeur campaign. Despite this introduction, his preference now lies firmly in Italy. This interest in fine wine led to a change of career direction and he joined the Fine Wine team at Bibendum in 2007. His focus here was dealing with private clients with an emphasis on maintaining strong links with individuals from his old stomping ground in the City. A long held belief that private clients lacked an efficient mechanism when it came to trading fine wine led to the idea for Cavex. Simon began his career in the City with Gerrard & National, trading and market making in sterling money market instruments and Gilt edged products. With the advent of new markets, Simon was subsequently involved in the futures and options markets. He also traded International bond markets and currencies. With a life long passion for fine wine, predominately favouring wines from Germany and Burgundy, Simon has been investing and tasting for over 30 years. This has enabled him to build a comprehensive private portfolio whilst simultaneously gaining a broad knowledge and understanding of the fine wine market. Steph joined the wine trade after graduating from Edinburgh in 2009. Her career started as a trainee at Majestic. After gaining the WSET Advanced Certificate, Steph joined Corney and Barrow’s broking team. During her four years with C&B, she learnt an invaluable amount about fine wine and the secondary market. Steph moved to Henley on Thames with her family at the end of 2014 and joined Cavex. Tom has been in the wine industry for 8 years. 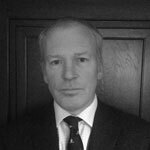 From his early days starting on the shop floor at Majestic, he has since gained broad experience working for UK merchants including Fine and Rare before moving on to the French negociant, La Bergère, developing relationships with both private and trade clients worldwide. Outside of the office, Tom can usually be found sniffing out a bargain, Old World or New, and he is interested in the ever-growing market for English sparkling wines. He spends his weekends with his young family, cooking up a storm in the kitchen and passionately following his consistently inconsistent football team.